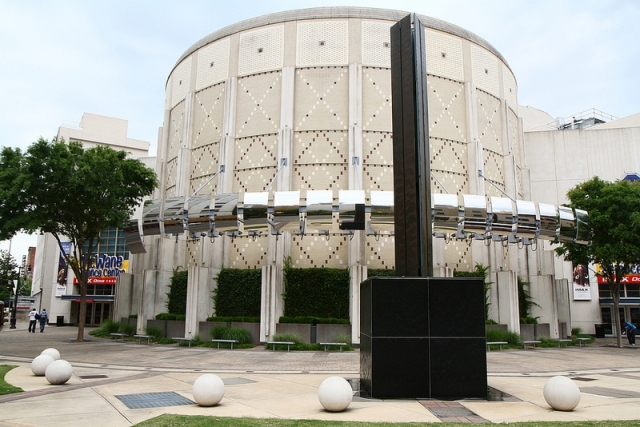 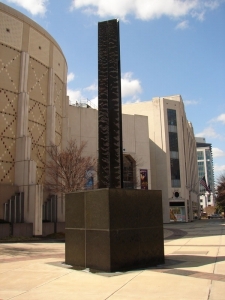 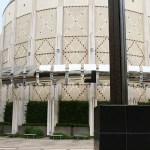 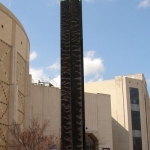 The exterior plaza of The McWane Science Center features Eric Orr's "Birmingham Prime Matter", a 30' tall triangular pylon that evokes the "four elements" known to ancient natural science. 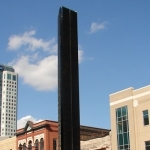 This sculpture on occasion spits out water and fire. 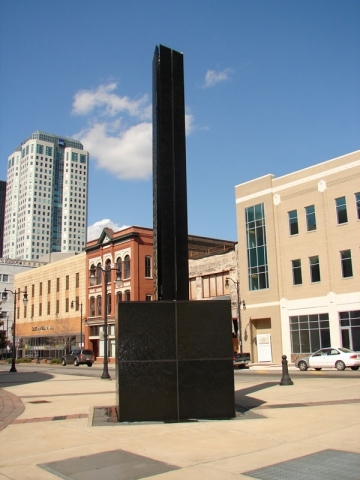 This work was created and installed in honor of Joseph Bruno, entrepeneur, philanthropist, civic leader, who believed in giving back and tirelessly served his community, building a better Birmingham.